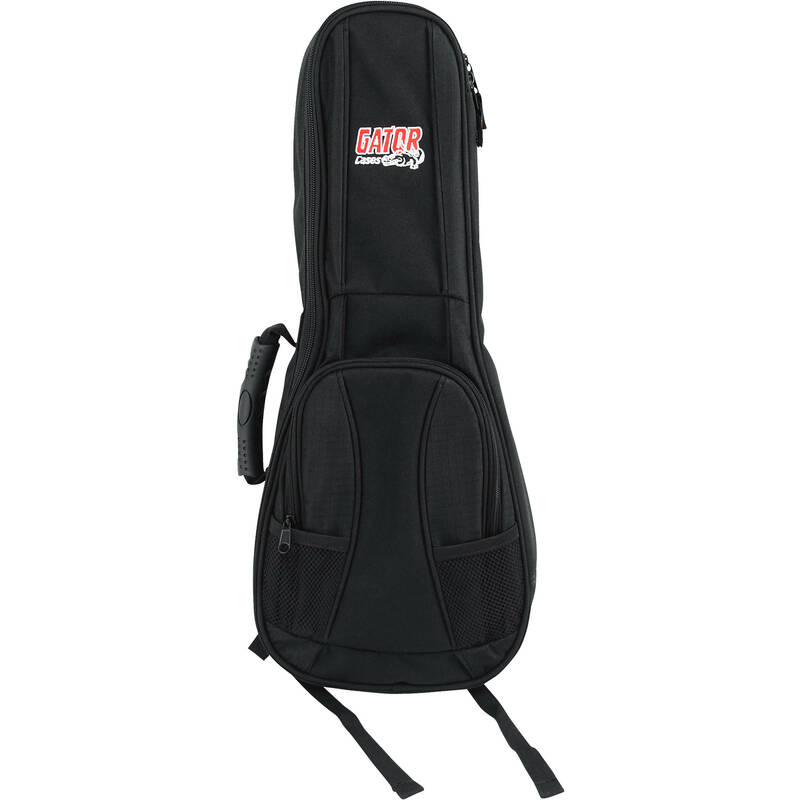 The Gator Cases GB-4G-UKE SOP 4G Style Gig Bag for Soprano Style Ukulele is a carrying case with a rubber side handle, and padded backpack straps for easily transporting your ukulele. It is constructed of nylon with GFLEX 20mm padding on all sides, and contour back padding for additional comfort. There is a front exterior pocket for accessories, a pick-clip to hold extra picks, and internal headstock and bridge reinforcement for preventing wear to your ukulele. Box Dimensions (LxWxH) 23.2 x 11.1 x 3.9"
GB-4G-UKE SOP 4G Style Gig Bag for Soprano Style Ukulele is rated 5.0 out of 5 by 1. Rated 5 out of 5 by Anonymous from I would definitely buy this again. Very nice case. Fits my daughter's saprano ukulele very well. This case is much more rigid than I expected. Offers great protection, and is made very well.